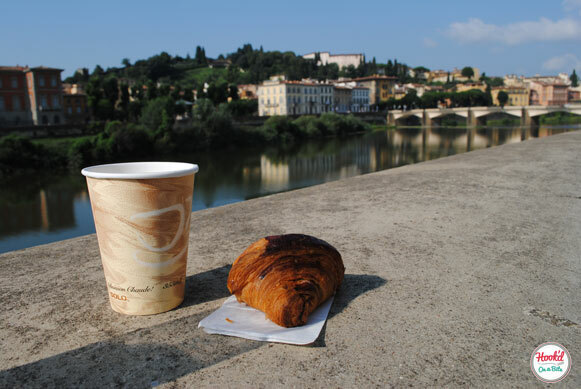 On my first morning in Florence, I set off to find somewhere to get a traditional italian colazione: a cappuccino and croissant. I didn’t care if it was good or not at that point, that was how hungry I was. 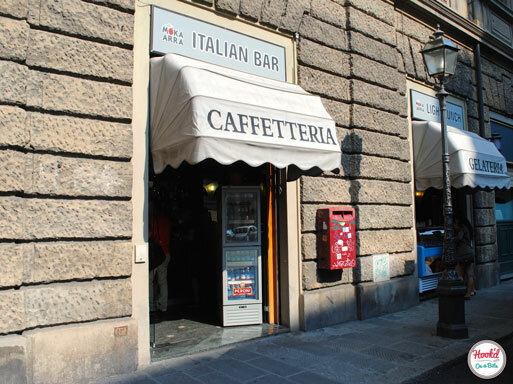 Nearing the Arno River, I stumbled upon “Italian Bar” - a little corner bar selling coffee, pastries, and light lunch. I practically ran in the door stumbling over my feet and my basic Italian words, but eventually walked out with cappuccino and croissant in hand. The coffee was strong and smooth, but then again I’m sure any cappuccino in Italy can’t be that bad. The croissant, though, was divine. It’s by far the best I’ve ever had, and I haven’t found one comparable in Florence since. This wasn’t just any old french pastry you will find in Europe, often cream filled and a bit processed. It was buttery and delicious as it should be, with a shiny and sweet kind of thin coating on the outside, and I just can’t stop thinking about it. Close to F.U.A., this is a great spot to stop for breakfast on your way to class. I just know you’ll be Hook’d! Local Tip: Don’t order a cappuccino after 2pm, or you may as well write “Hi I’m American” with a sharpie on your forehead.